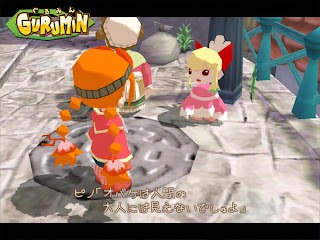 The Gay Gamer: Gotta get Gurumin? I've been eyeing the PSP for some time. Unlike a lot of Nintendo fanboys, I only diss other companies, consoles and games when it's warranted. I had a PS1, I currently have a PS2 and I'm considering buying an Xbox 360, and I'll be damned if I'm not considering a PSP as well for games like Loco Roco, the Final Fantasy Tactics redux and a cute little gem called Gurumin: A Monstrous Adventure. I have yet to play it of course, but from what I've read it's quite an enjoyable action/RPG romp. Don't take my word for it--take the word of the folks at Siliconera (they just posted a thumbs-up review for the game). What do you think about the cutesy My Sims? Why can't I see Mii in my Wii games? PS3 to lose backwards compatibility?